There's a new camera king in the smartphone world, at least if we're talking stills, and you buy into one particular benchmark. The iPhone X has just been given the highest smartphone score ever for still photos by DxOMark – a site which comprehensively evaluates cameras and is generally held in high regard. The iPhone X achieved a photo score of 101, which is one point higher than the Samsung Galaxy Note 8 and Huawei Mate 10 Pro, which previously topped the charts for stills. 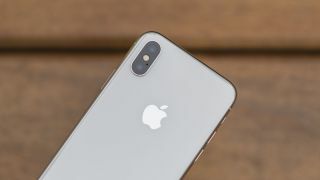 The site praised the iPhone X for its good exposure, accurate color rendering and white balance, good detail preservation, low levels of noise and a natural looking bokeh effect. The main cons meanwhile were an occasionally slow autofocus, ghosting artifacts on moving objects, and underexposed pictures with visible red-eye in flash-only shots. But despite its chart-topping photo score, the iPhone X isn’t rated number one overall for its camera skills, as there’s a separate score for video, and for that it achieves just 89. That’s still a decent score, with its accurate color rendering, good exposure, speedy autofocus, good detail preservation and effective stabilization being praised, but the camera apparently being let down by a slight loss of sharpness during tracking in low light, visible luminance noise in low light and some visible vibration when walking. That video score left the iPhone X number two for its camera overall, with a total score of 97, below the Pixel 2, which scored 98. Notably the Mate 10 Pro tied with the iPhone X with a score of 97, while the Galaxy Note 8 and iPhone 8 Plus are just behind with 94. Of course, DxOMark is just one opinion, and the difference between a 97 and a 98 is likely very subjective, so you might not want to read too much into the exact scores given. The upshot though is that the iPhone X seemingly has a very good camera, and if you check out our iPhone X review you’ll see that’s an assessment we agree with.